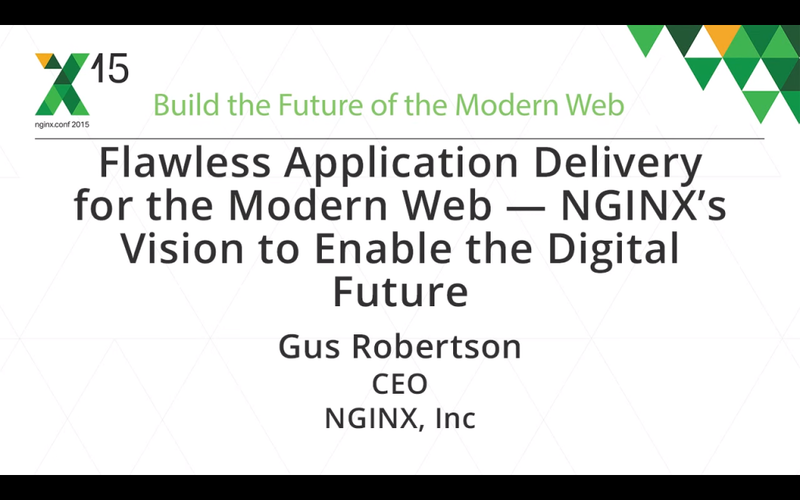 NGINX CEO Gus Robertson recently gave a neat talk on app delivery for the modern web. Check out his insight into topics like powering busy websites, and moving form monolithic to dynamic. The following is adapted from a talk given by NGINX CEO Gus Robertson at nginx.conf 2015, held in San Francisco in September. Watch a video of the talk here. Welcome to the second annual NGINX User Conference. My name is Gus Robertson. I’m the CEO of NGINX and I’ve been in open source now for well over a decade. 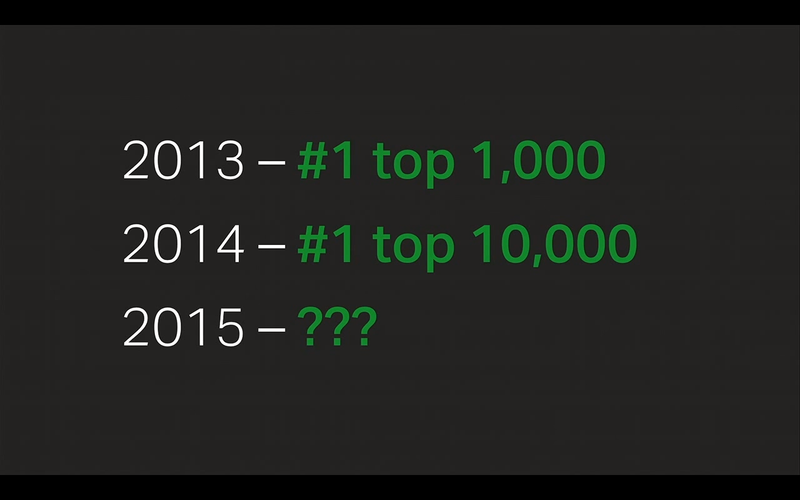 I’ve been with NGINX for around three years, and I’ve seen some amazing milestones in those three years that I wanted to share with you this morning. Back in 2013, we became the number one web server for the 1,000 busiest websites in the world, which was an amazing milestone in our history. Then in 2014, we became the number one web server for the 10,000 busiest websites in the world. Here we are today in 2015, and it’s with great pride that I can share with you that last week, we became the number one web server for the top 100,000 busiest websites in the world. And that’s a testament to everybody in this room that uses the technology on a daily basis. 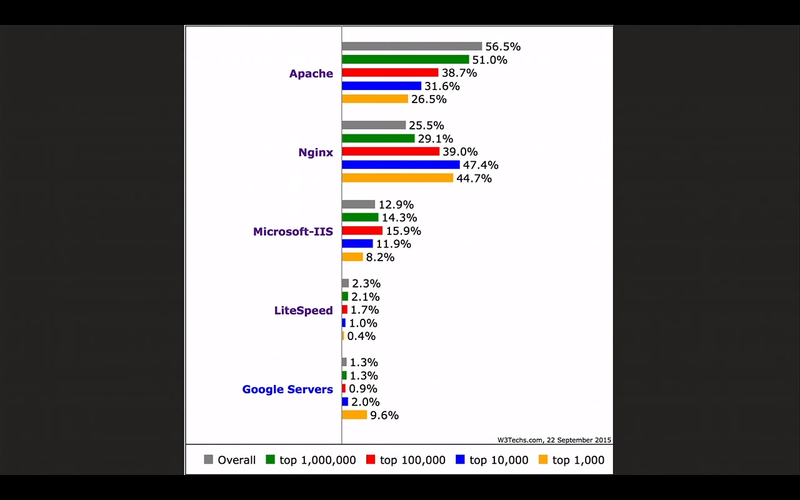 It’s not just the busiest websites in the world that use NGINX. We are now up to 140 million websites globally, so there’s massive, broad adoption across the industry. And many of the most innovative companies in the world, many that are represented here in this room, are using NGINX to run their businesses and run their critical applications. 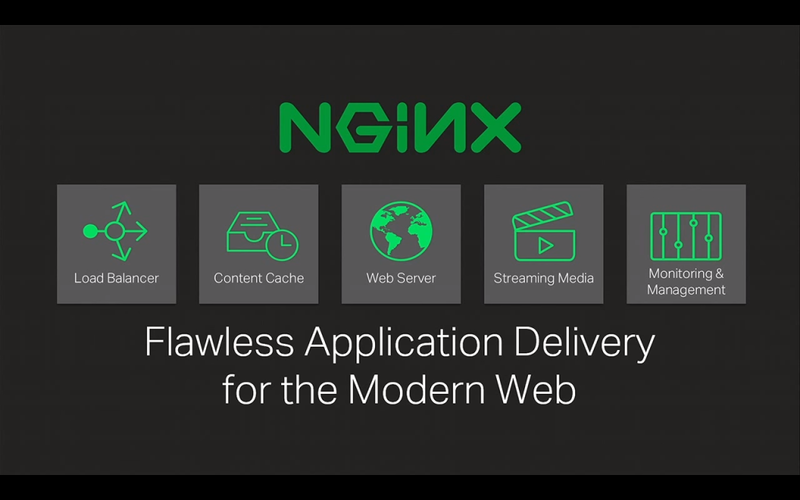 One of the great things about being at NGINX, given the brand that we have, given the adoption that I’ve just shown you, and given the problem that we solve with application delivery, is it gives us a front-row seat into what’s happening in the industry. Back in 2011, Marc Andreessen called out that software was eating the world. And this is absolutely true. What we’ve been seeing is that intelligence controls configurations; things that were usually, in the past, put into proprietary hardware have now moved out and have been put into software. It doesn’t make sense to put application controls in a hardware device at the front of a data center. It makes sense to put them natively within the application. So it’s absolutely true; software is eating the world. But for me, it’s more than that. 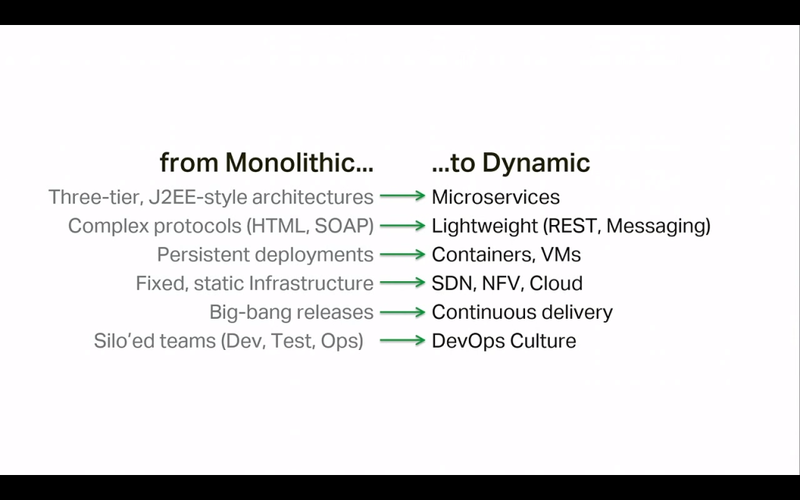 If you look at every industry buzzword you can imagine, whether it’s microservices, whether it’s containers, whether it’s continuous integration and delivery; if it’s the movement from heavyweight middleware SOA architectures to lightweight API RESTful architectures – if it’s moving to a DevOps culture, I’m sure you read about this every day as I do in the press, it’s all leading down a single path: it’s all leading to the application. And it’s not just that we’re seeing a move to applications, we’re seeing that having far-reaching implications, particularly in the enterprise. We’re seeing that, for those that build and manage applications, there’s more budget, more control being given to them than in the past. There’s a lot more emphasis on the importance of those that build and manage applications than on the applications themselves. And why is that? Well, it’s very clear to me that it’s all because of the user. It’s about the user and the user experience because that’s where we gain our customers. That’s where we drive our revenue. Who cares if the application’s running on the cloud or in your own datacenter? As long as the user is getting the experience, the performance they expect, the reliability, the security of knowing that their user information, their credit card details aren’t being exposed; it’s all about the user experience. And that’s what’s driving massive innovation in our industry today. To me, it’s amazing to see the speed of innovation. This is something we’ve never seen before in the world. We’re building some of the coolest stuff, stuff I could only imagine as a kid. Now, I’m going to show my age a little bit here, but when I left high school and I was at college I did work on mainframes. 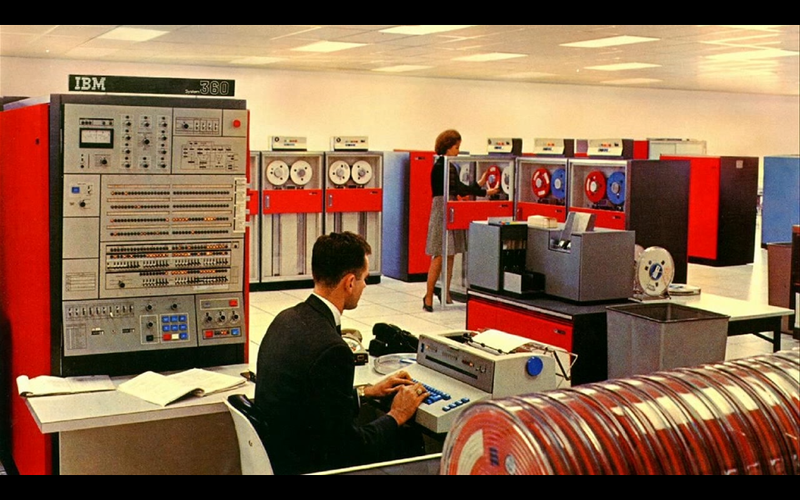 My job was to load tape drives on the mainframes. And just to think that here I am standing on stage with the power of a mainframe on my wrist, right? I still go back to those days at IBM when they would show me the massive football field of mainframes, and having that the power now, here on my wrist, is just amazing. And so, we here together are united on this journey of building the coolest stuff. But there’s something more that unites us, I think, some fundamental drivers and characteristics of us as people, as individuals, that is driving us to want to do this. We have, I think, a fundamental desire to make extraordinary things. From that very first time that any of us in this room programmed a computer to show ‘Hello World’, it was about the active creation of building something. And I think that’s something that we all share and unite around. Last night, I had the great pleasure of talking to Dragos Dascalita Haut from Adobe, who has got a keynote tomorrow morning at 9:30 here on stage, so please come and see Dragos present – and you could see the passion in his eyes as he’s talking about his project and how keen he is to share that with everybody here. And that’s the passion that drives our desire to build extraordinary things. 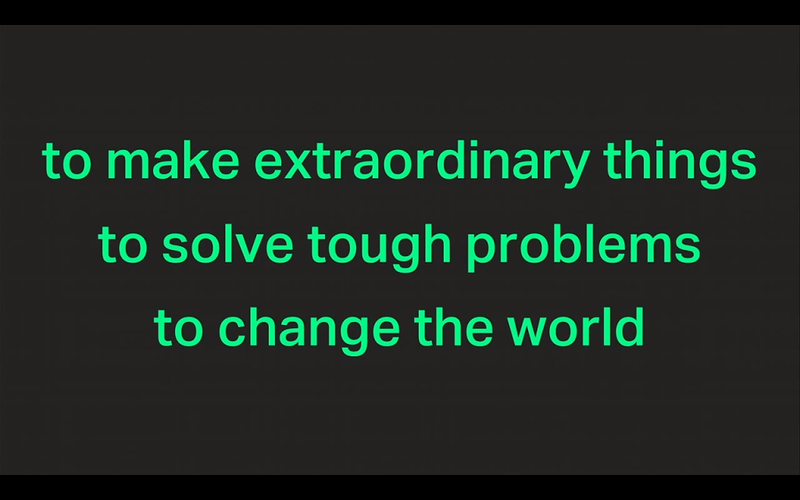 But it’s not just about building extraordinary things, it’s also about solving tough problems. Because when you put those two things together: the desire to create something unique and interesting and extraordinary, and combine that with solving a tough problem, then we really get to change the world. And change the world for the better. That might sound altruistic to you, right? But for me, it’s real. How many of you took Uber here this morning? I know I did. Yesterday my Uber application stopped working on my phone when I upgraded to iOS 9, so I was lost yesterday without my Uber application. We have an expectation now that technology will provide us the capability to have a car drive up to my door within three minutes of asking for it, and let me know it’s arriving. How many of you have been to a city where Uber is not working, you have to actually order a taxi and wait five, 15, 30 minutes and you don’t even know if it’s coming, right? Our expectations have changed because of technology. We expect things to be better now. Think of working parents who use Instacart, so when they come home they have fresh groceries so they can make a meal rather than having to spend two hours at a grocery store on their way home? That improves our lives. I arrived in San Francisco about four weeks ago. And the day after I arrived, our 14-month-old baby got a fever of 104F, and we didn’t know what was wrong. We looked for a pediatrician, we looked for an appointment, but we couldn’t get anything in the city. 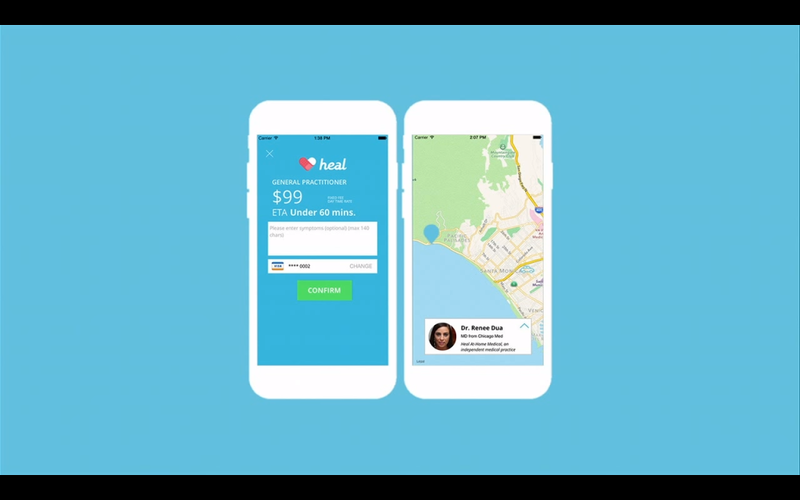 Then someone recommended this app called Heal. We logged into the app, and within 16 minutes we had a registered pediatrician in our apartment checking on our baby and telling us that it was just an ear infection. She needed some antibiotics and she was going to be okay. The peace of mind that this application brought me and my wife about our kid, you can’t measure the value of that. Imagine if you were in a foreign city with your child, and your child was sick and you knew that you had an application like this, and that within 16 minutes you could have someone – a trained medical person in your apartment, letting you know everything’s going to be okay. This is absolutely about changing our lives for the better, and every single one of you that’s working on these applications is a part of this journey that we’re all on together. So we’re innovating. And how does this innovation start? Well, typically it starts with a single idea. Maybe you have an idea for an application for yourself, maybe an application for a startup. Maybe an application for you at work, right? And it’s a great application, you build some cool features and people start using it. And then your application starts to scale, starts to grow and you think, “Maybe I need to move it to the cloud. How do I scale my application on the cloud?” You think about, “How do I deliver this application to mobile devices?”, “How do I secure my application?” You find very quickly that applications have a habit of getting complex very quickly. 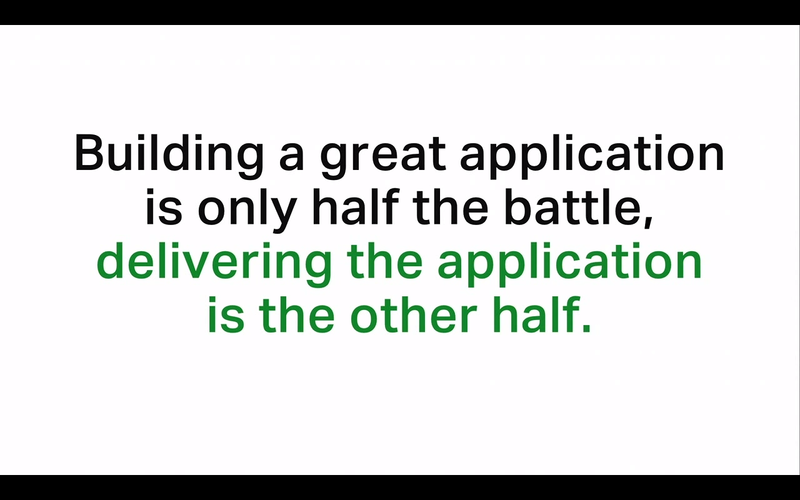 This is when you find that building an application is really only half the battle. That’s where we at NGINX think we can help. We really focus on a single objective, which is flawless application delivery. This is the same mission that we’ve been on since the very first day that Igor sat down and wrote the very first line of code for NGINX. He was trying to solve exactly this same problem at the company he was working at because he couldn’t achieve flawless application delivery. 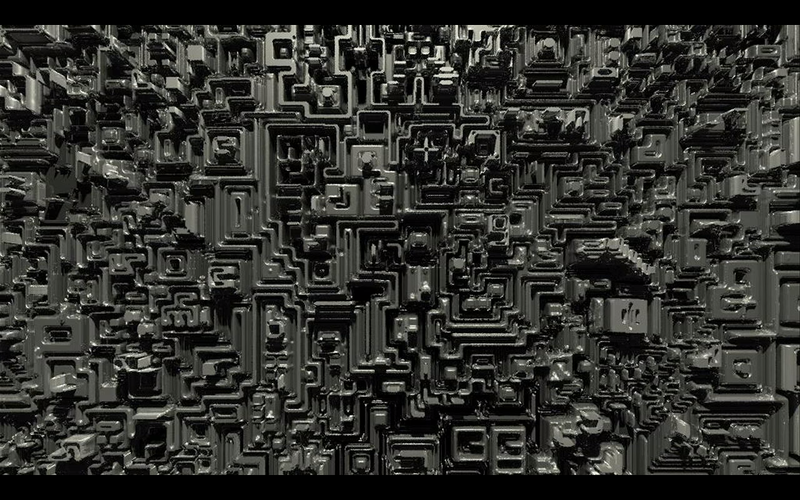 We want to take the complexity out of delivering applications so that you can focus on building the cool stuff, and we can worry about building the tools to help you deliver those applications, whether that application is a small application for yourself or a startup, or a complex microservice-based architecture that’s built with hundreds of developers and delivered to millions of users. And we want to do this with the most elegant and high-performance software we can possibly deliver. And I want to be clear on that, because it’s an exciting thing for me to see when I sit with our engineering team, that they want to spend weeks painstakingly trying to get a feature down from a hundred lines of code to ten lines of code. That’s just who we are. That’s our ethos. That’s our culture. We want to make application delivery possible with the highest performance software and to do that for as many applications as we can. So that when you bring that application to life, when you decide to go ‘Hello World’ with your production application, that ‘Hello World’ can fearlessly mean ‘Hello World’ in today’s scale that we’re talking about, so that you can have that confidence in security, reliability, and performance. Our goal is to make sure that the amazing things you do when you’re building your application stay amazing. And so, what does that mean more specifically today? Owen Garrett’s upcoming keynote will take you through where our product roadmap is today, and where we’re taking it in the future.